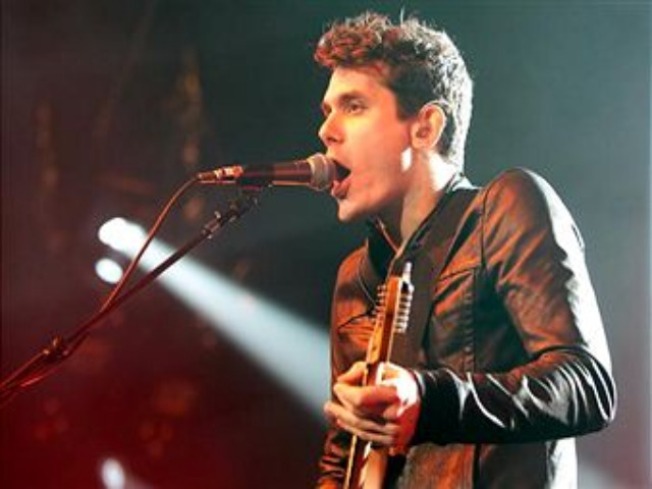 CT's own John Mayer returns to his roots this weekend in Hartford. FESTIVITIES: Go to Litchfield, go to East Hartford, it doesn't matter this weekend. The sounds of music will be filling the air at a pair of festivals. First, there's The Podunk Bluegrass Festival at Martin Park in East Hartford. Called the "Best Kept Secret in Bluegrass" Podunk has become an institution over the past decade or so, bringing in some of the biggest names in the genre. This year, performers like Ricky Skaggs, Hot Buttered Rum and the Gibson Brothers (among others) will delight people in the fields and campgrounds all weekend long (through Sunday). Tickets will run you $14-$94. Check out the Litchfield Jazz Festival. For the 29th year, the sounds of jazz will fill the summer evenings this weekend at the Kent School. This year's lineup includes some of the biggest names in jazz like Dave Brubeck, Bela Fleck, Zakir Hussain and Edgar Meyer (and too many others to list here). The Festival runs Friday, Saturday and Sunday, and includes much more than music (think fine art and fantastic food). Tickets will cost you anywhere from $29-$350. CHART TOPPERS: Hartford is the place to be this weekend for two of the hottest concert tours around. We begin at the XL Center Friday night, as the Black Eyed Peas continue their second leg of their "The E.N.D. World Tour 2010." Tickets for the 7pm show are $36.50-$81.50. Then, on Saturday, local boy John Mayer is coming back home to our fair Nutmeg State. Mayer will be joined by Train for a show at the Comcast Theatre. Tickets for that show are $42 and $81. UNPLUGGED: Sometimes, an artist just does their thing, and good things happen almost by accident. We can't be sure, but that sure seems like the career of Suzanne Vega. With her neo-folk style, Vega helped to usher in the female acoustic folk-pop movement in the late '80s, in large part on the success of her hit Luka. Saturday night, you can check out Vega at the Ridgefield Playhouse along with fellow pop-folker Patty Larkin. Tickets for the 8pm show are $55. BACK IN TIME: Take a time-warp back to the '50s this weekend, as the Daniel Street Cafe hosts their very own Sock Hop. Sunday night from 7 p.m.-10 p.m., you can enjoy some classic tunes and even more iconic dancing. But that's not all, you can meet the CT Roller girls and there are plenty of raffles and prizes. Tickets for the event are $20, and the proceeds go toward the Milford Diner. IMITATING ART: The Hole in the Wall Theater in New Britain this weekend, will debut their latest production. The Credeaux Canvas tells a tale of art, romance, ambition, friendship and betrayal. The story follows three twentysomethings all striving to fulfill their dreams and still pay the rent. There are performances Friday and Saturday at 8 p.m. and Sunday at 2 p.m. You can see the show for a suggested donation of $20 (and you're asked to bring a non-perishable food item as well). The Credeaux Canvas runs through August 28.